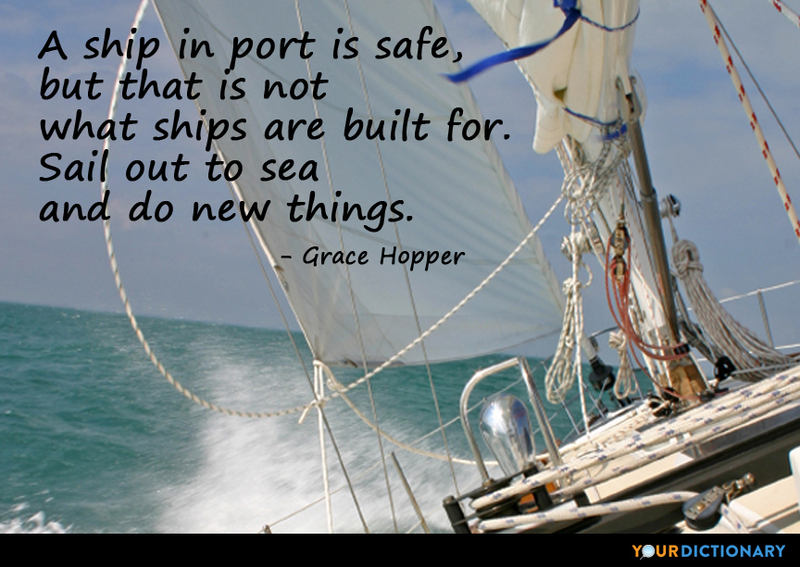 Rear Admiral Grace Hopper (9 December 1906 – 1 January 1992) was a U.S. Naval officer, and an early computer programmer. She was the developer of the first compiler for a computer programming language; at the end of her service she was the oldest serving officer in the United States Navy.  On the removal of a 2-inch-long moth from the Harvard Mark II experimental computer at Harvard in 1947, as quoted in Time (16 April 1984). Note that the term "bug" was in use by people in several technical disciplines long before that; Thomas Edison used the term, and it was common AT&T parlance in the 1920s to refer to bugs in the wires. Hopper is credited with popularizing the term's use in the computing field. In total desperation, I called over to the engineering building, and I said, "Please cut off a nanosecond and send it over to me." At the end of about a week, I called back and said, "I need something to compare this to. Could I please have a microsecond?" I had a running compiler and nobody would touch it. ... they carefully told me, computers could only do arithmetic; they could not do programs.  Unsourced variant: The most dangerous phrase in the language is, "We've always done it this way."